This post is sponsored by Rodelle. All opinions are my own. 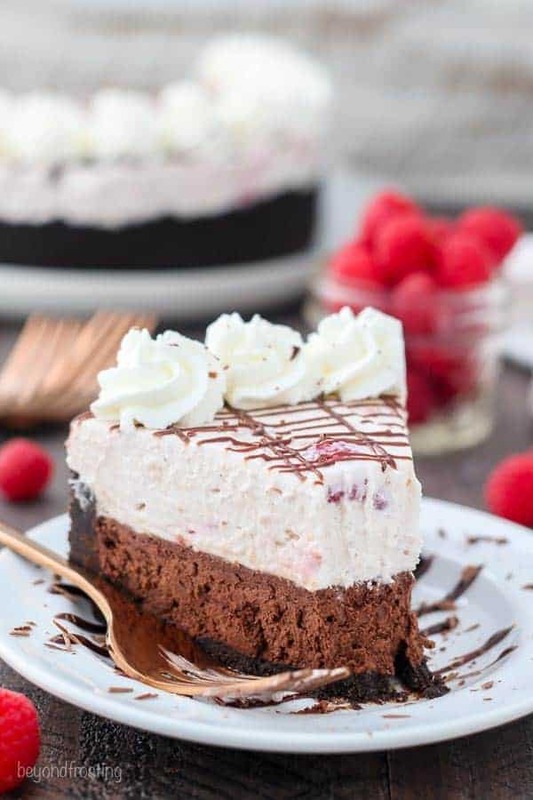 Please tell me I’m not the only one swooning over this No-Bake Raspberry Chocolate Mousse Cake. 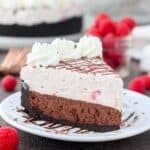 The thick Oreo crust is filled with layers of rich chocolate mousse topped with a delicate raspberry mousse and whipped cream on top. Isn’t it beautiful? 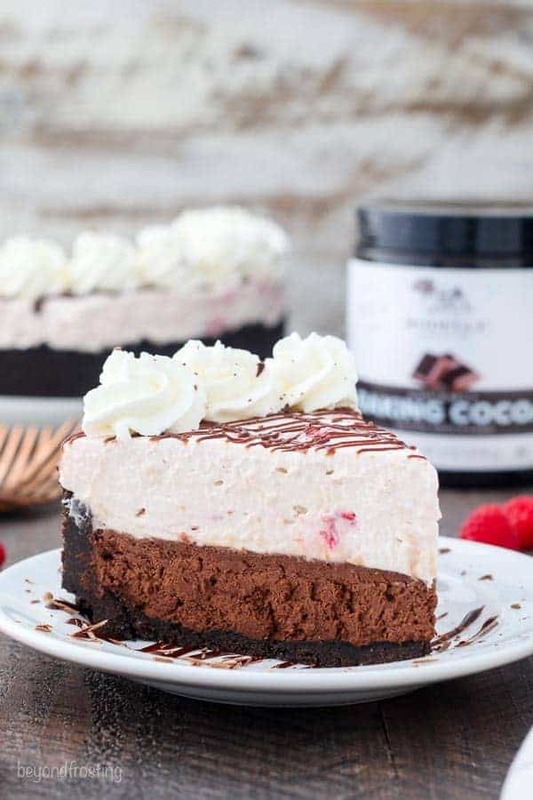 The chocolate mousse consists of melted dark chocolate, cocoa powder, cream cheese and a chocolate whipped cream. It’s so dreamy. 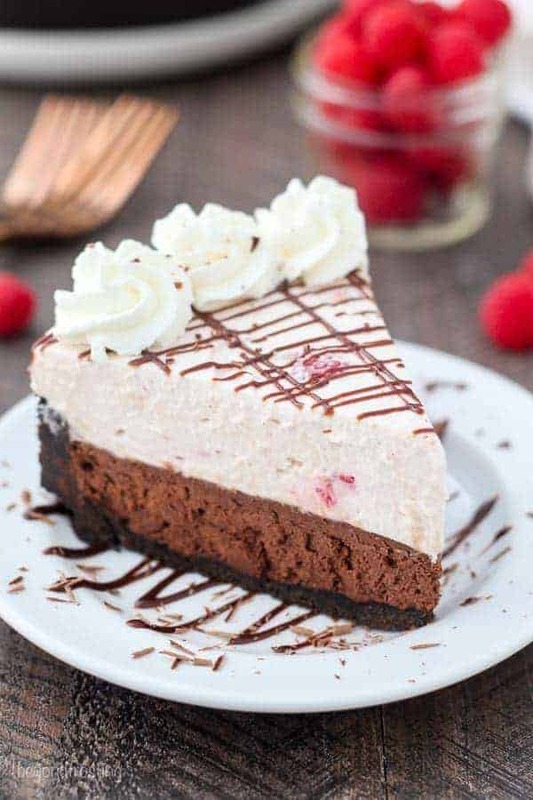 While the raspberry mousse is made with fresh raspberry puree, white chocolate, cream cheese and whipped cream. 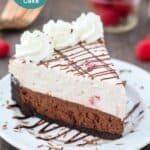 I LOVE these no-bake mousse cakes, they work so well with milk, dark and white chocolate thus I’ve made lots of flavor combinations of these mousse cake. Today I’m upping the richness and chocolate flavors by adding some Rodelle Gourmet Baking Cocoa to the chocolate mousse. 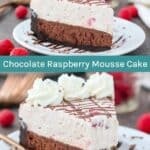 I love the way it enhances the mousse, adding a bit more depth of flavor. It’s no wonder it intensifies the flavor, this cocoa powder has one of the highest levels of cocoa butter on the market. It’s also a Dutch processed cocoa powder. A Dutch processed cocoa powder is less acidic than natural cocoa powder. This is more of a factor when it comes to baked goods because it relies on baking soda for its acidity. They also offer an organic cocoa powder, which is one of the only alkalized, organize cocoa powders on the market. One of my favorite ways to use Rodelle Baking Cocoa is in my Moist Chocolate Cake Recipe. See the specific notes about using Dutch processed cocoa powder for the recipe. I go through a lot of cocoa powder in my kitchen. 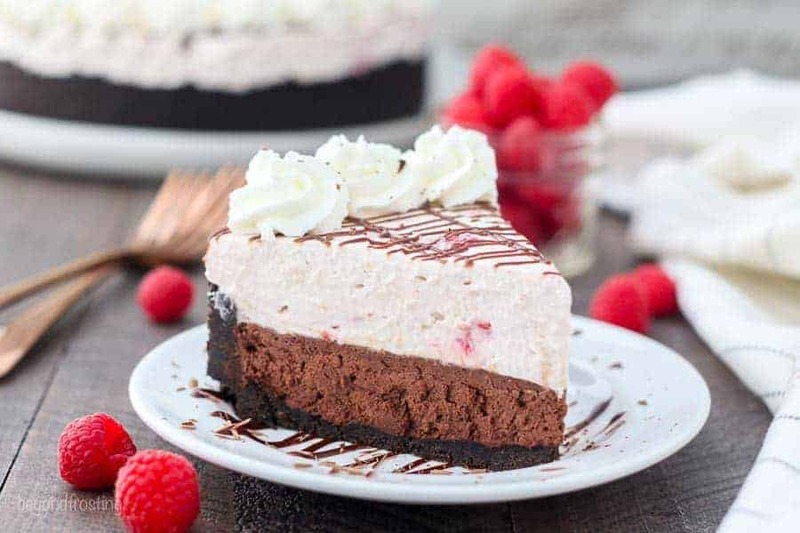 Okay so back to this No-Bake Raspberry Mousse Cake. 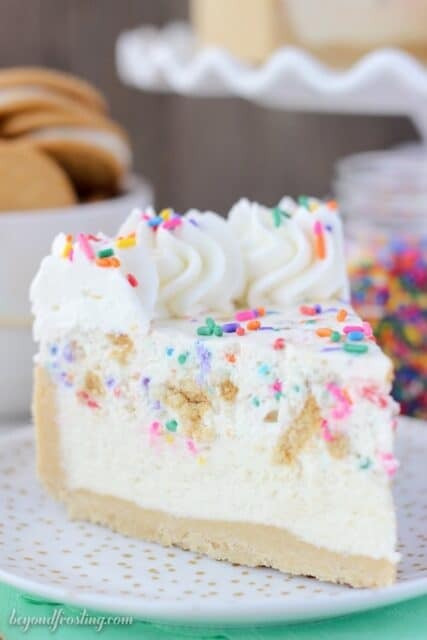 You all know I have a soft spot for no-bake desserts. During busy times of the year (or not), I love that I can prepare these desserts ahead of time. It might seem like there’s a lot of steps here, but each layer is somewhat repetitive, and I’ve worked out a good flow to it that involves only washing my dishes once in the middle and again when I’m done. Once the crust is prepared, I start on the filling. First, I make the whipped cream, and then set it aside. Then I melt the chocolate, so it has time to cool. While that is cooling, I prepare the other parts of the filling. You’ll notice that each layer calls for gelatin. Don’t be intimidated by this, it’s super easy. Place the cold water in a shallow dish or cup (one that’s microwave-safe) and then sprinkle the powdered gelatin over top. The gelatin will turn from a liquid to a solid. Once this happens, throw it in the microwave for 10 seconds and it turns back into liquid. Allow that to cool and then you’ll be adding it into your whipped cream. The gelatin is a stabilizer for the mousse. 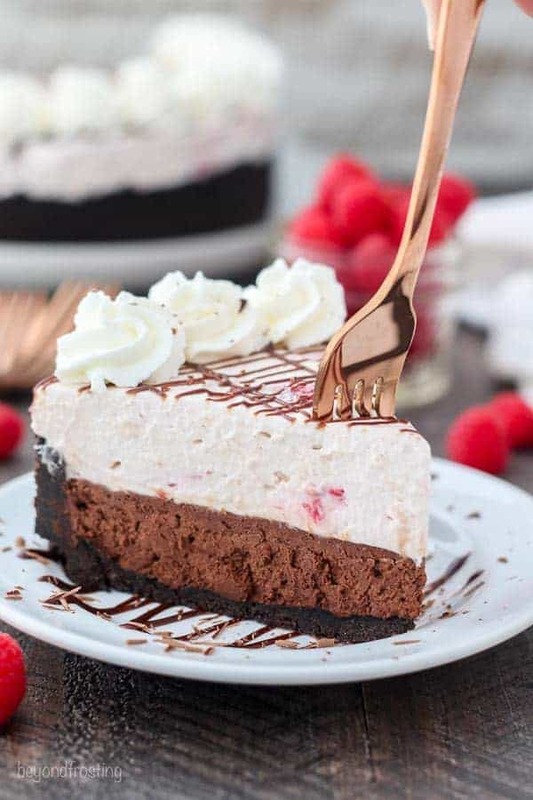 It also helps maintain the light and airy texture in the mousse, so I don’t recommend trying to eliminate it, especially for the raspberry mousse. For this recipe, I recommend using a springform pan, so you can easily remove the sides of the pan. However, you could make this in a 9-inch square pan, as long as it’s at least 3-inches high. I also recommend using a cake collar or parchment paper on the edges to make it easier for the sides of the pan to release. 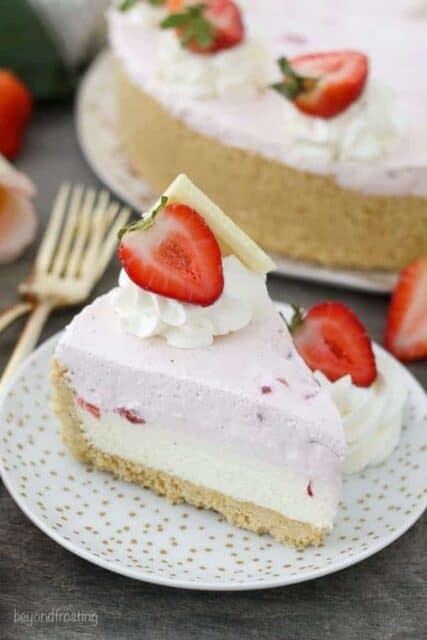 My last tip for you is to be sure to plan a little bit of time for this dessert to set in the refrigerator prior to serving. They’re great desserts because they can be prepared ahead of time, but you do need to plan accordingly. Lucky for me, my pantry is stocked with plenty of Rodelle vanilla and cocoa powder for all the holiday baking I have left to do. Next add the cooled white chocolate until well combined. Finally, fold in the prepared whipped cream. Chop the remaining raspberries in half and fold into the mousse. 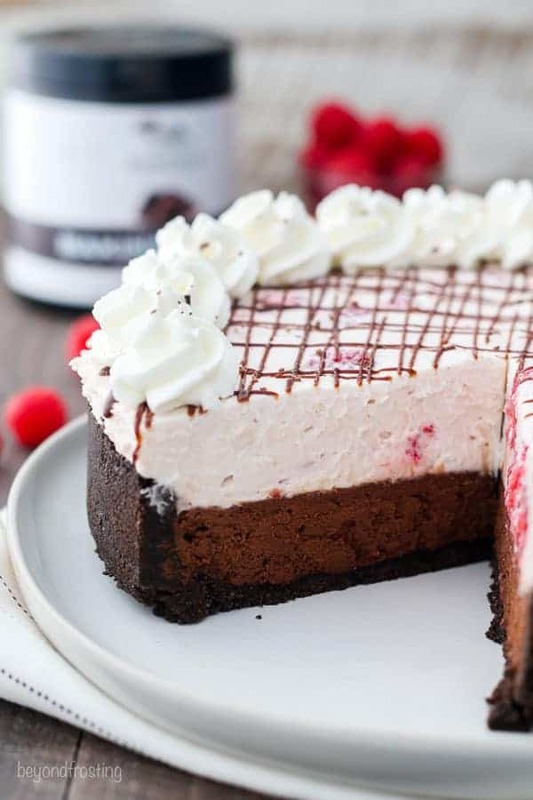 Spread the raspberry mousse over top of the chocolate mousse. I am confused. I still have 1/2 cup of raspberries left over. Why do you need a cup of raspberries when you only use 1/2 cup of them? Am I missing something? Hi Sheri, 1/2 a cup of raspberries pureed for the mouse (step 15). The other half cup is chopped in half and mixed into the mousse (step 18). I hope you enjoy! I made a few revisions so it was sugar free. Outstanding! Awesome Susan!! Thanks for sharing! I am so glad you enjoyed it!